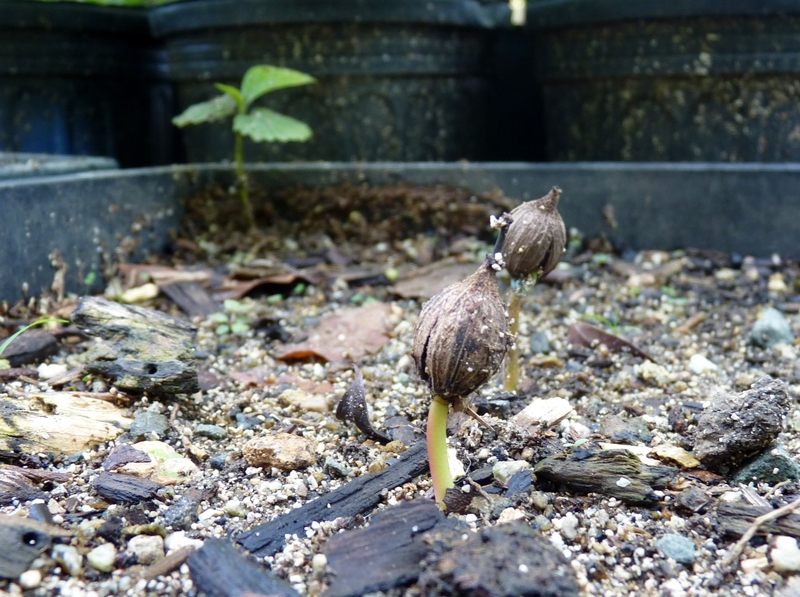 Our Native Plant Nursery has new plant species popping up every week. 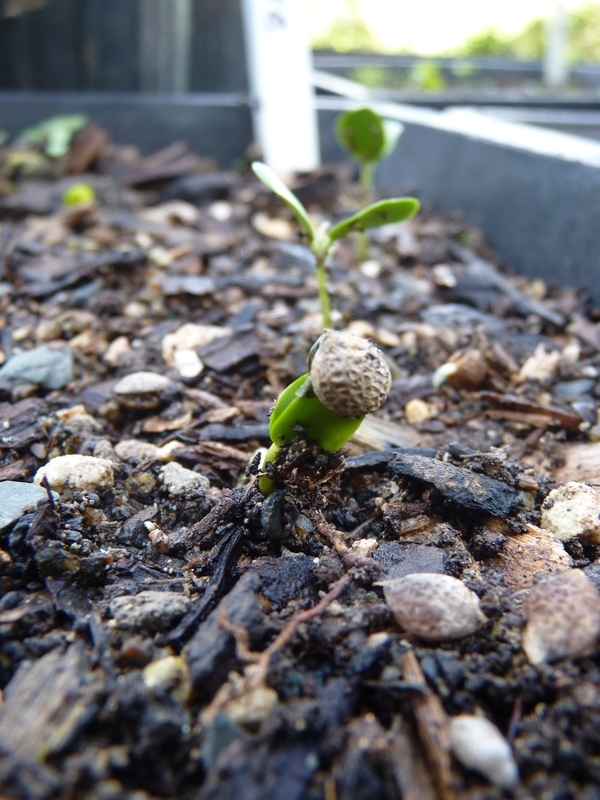 This brief update comes straight from our nursery benches to tell you what is germinating and what will be ready for outplanting next year. Castela erecta is called goatbush or bitterbush in some places. This is our first time growing this handsome plant. It is a coastal shrub or small tree from the Simaroubaceae family. It is drought and salt tolerant and produces attractive red fruit that are round and slightly flattened. They pop when you squeeze them and squirt clear fruit juice and contain a single seed. The seeds take less than 3 weeks to germinate without a seed treatment. We are consistently getting about 70% success. Seagrape (Cocoloba uvifera) is one of the most common coastal trees in the Caribbean and our inventory would not be complete without it. 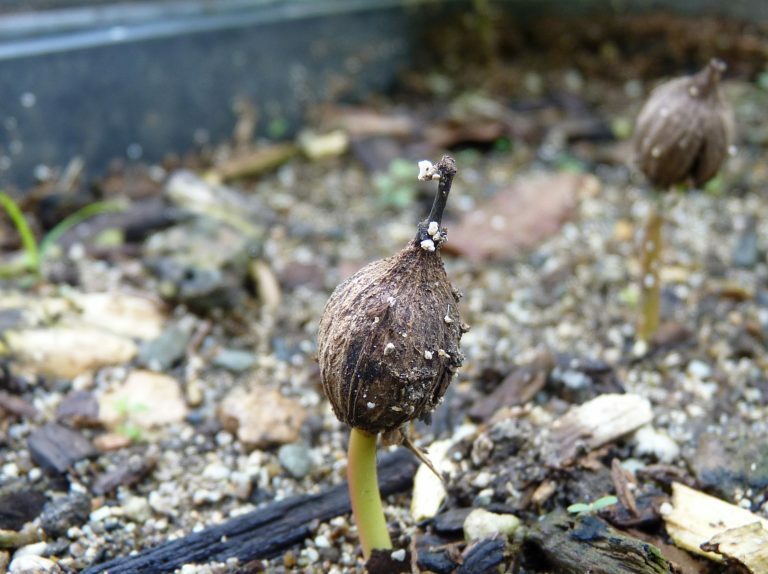 The seeds take 3 or 4 weeks before performing this exciting little show when they germinate. 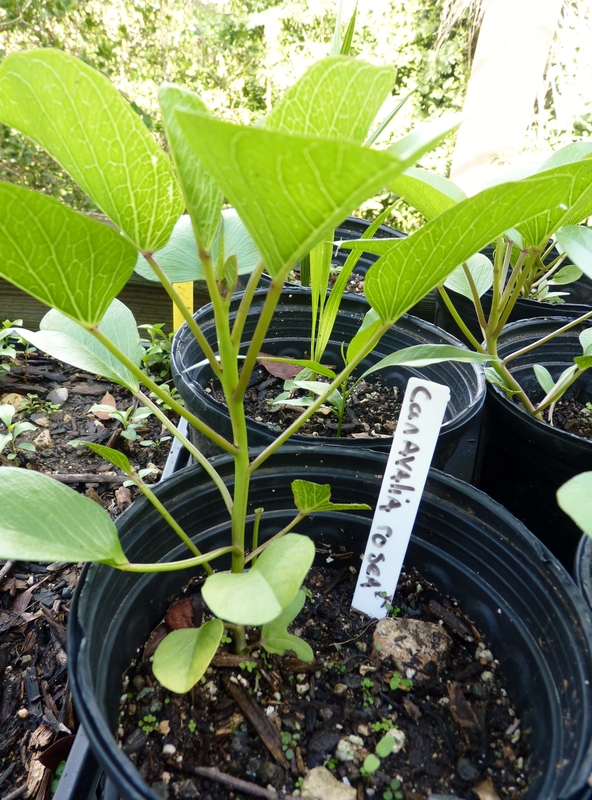 Finally we get to beach bean (Canavalia rosea). This pantropical vine of the Fabaceae family thrives on sandy beaches. We grow it for its robust root system and salt tolerance. Its sprawling growth habit and ability to produce roots from nodes along the vine make it great for soil stabilization and coastal restoration projects. The showy pink/purple flowers are a bonus. The seeds, however, are frustrating for a grower. We sowed about 200 seeds without any treatment and then waited for almost 4 MONTHS. Roughly 10% of them germinated in a single flush. 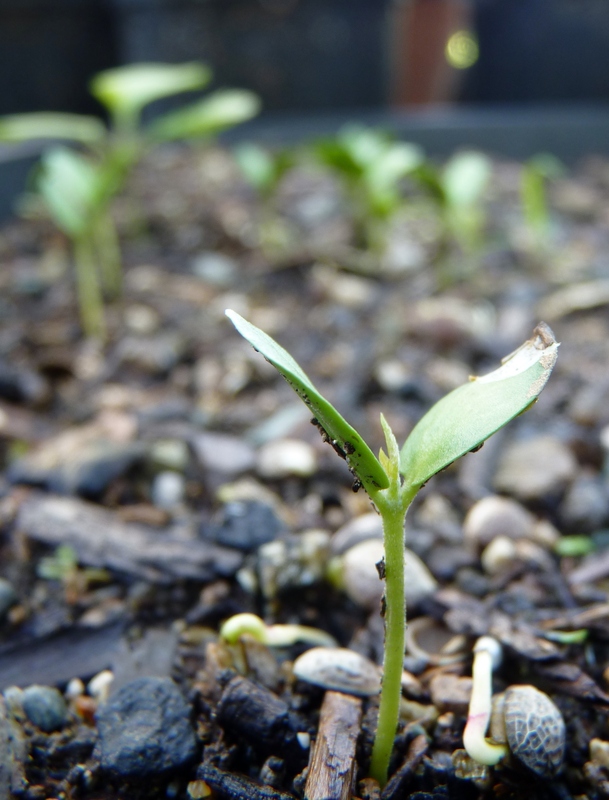 Since then, about 1 per week has germinated from the half-forgotten tray at the back of a bench. Next time we will be using a few experimental pregerminative treatments. Once they are in 1 gallon pots they grow like crazy.